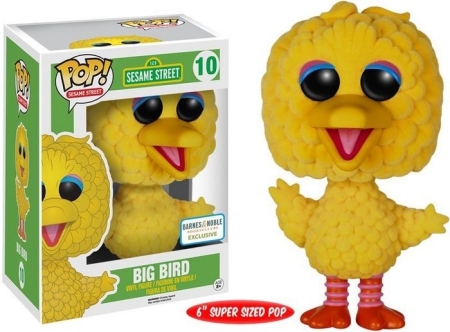 Sunny days are sweeping the clouds away. 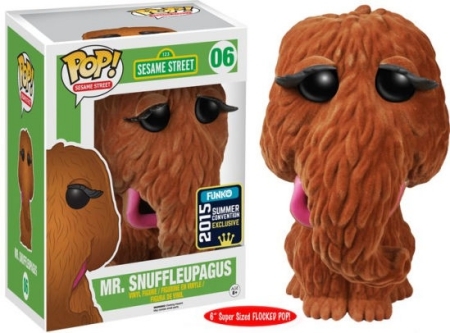 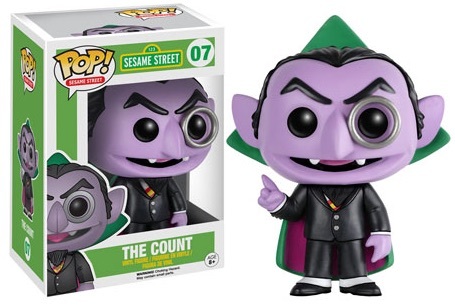 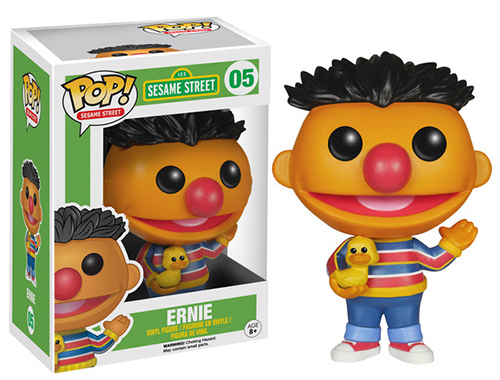 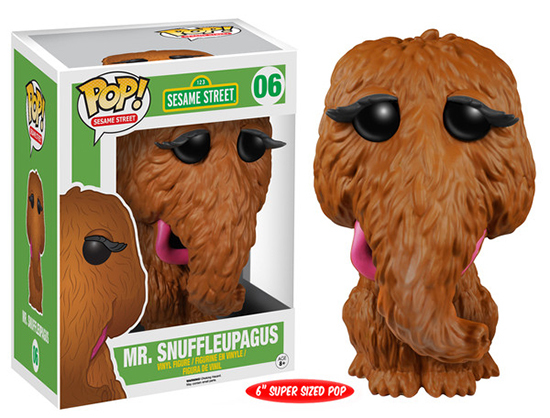 However, you're on your own if you're going to sweep away some space on your desk or shelf for the 2015 Funko Pop Sesame Street vinyl figures. 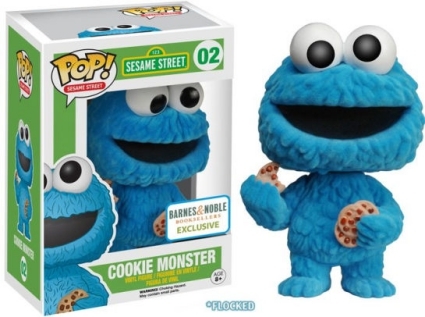 This is the beginning of what's planned to be a larger line. 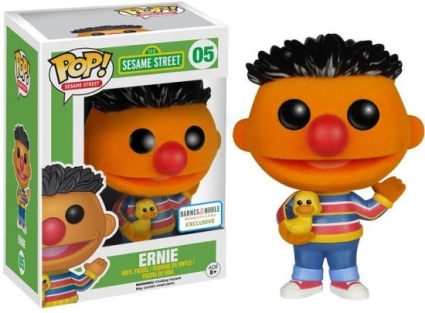 In fact, instead of being part of the Pop! 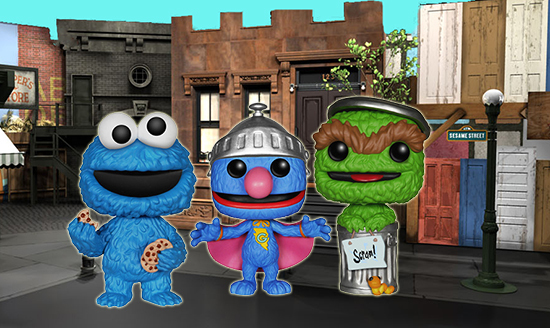 Television group, Sesame Street gets a line and numbering all its own. 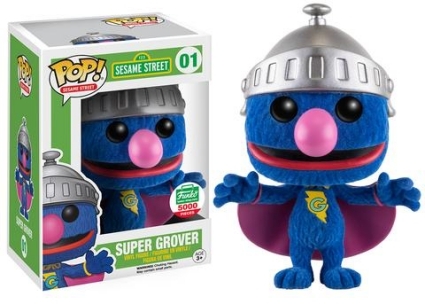 The most huggable hero ever, Super Grover leads things off complete with his cape and helmet. 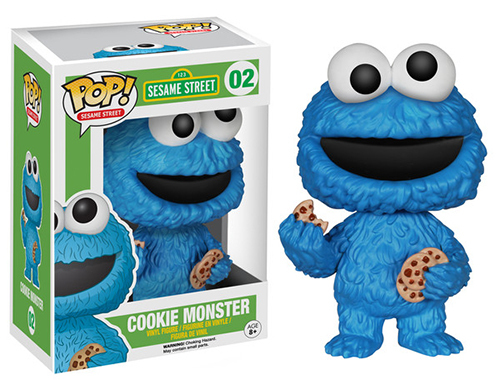 Cookie Monster is shown doing what he does best: devouring cookies. 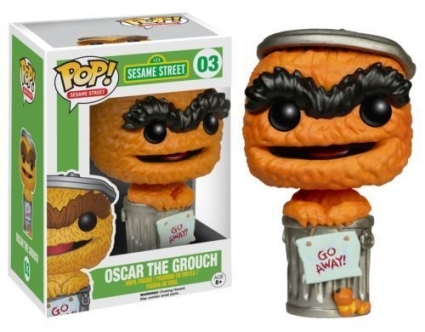 Oscar the Grouch has the most going on of all the figures. 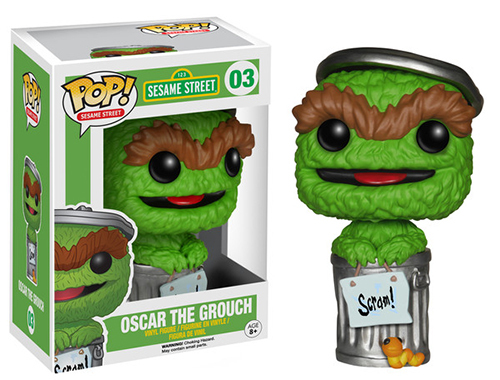 His trash can home is adorned with a "Scram!" 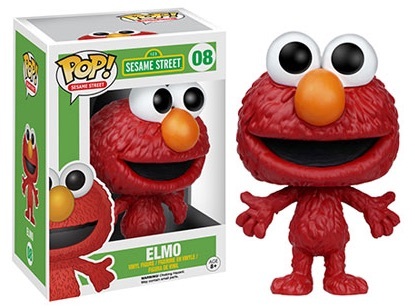 sign and his pet worm Slimey sits at the base. 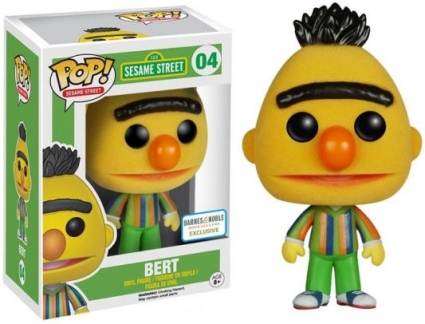 Best friends Bert and Ernie are each available, albeit separately. 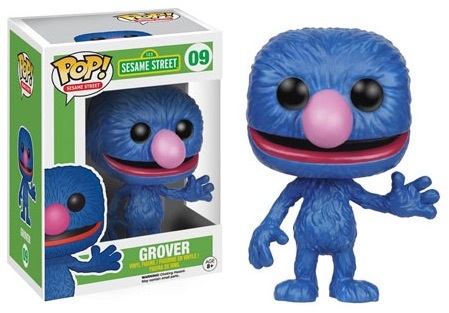 Wave two includes The Count, Elmo and a regular version Grover. An early version of Super Grover was sold at the 2014 New York Comic-Con. 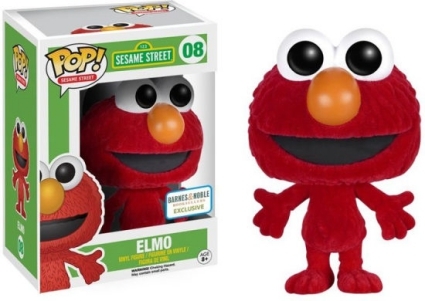 Sold by Toy Tokyo, it's the same basic figure but the box has a sticker noting that it's one of the first-to-market versions. 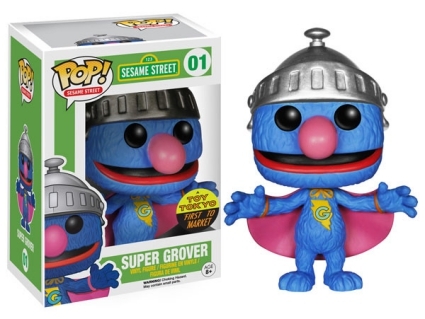 There are also exclusive flocked versions for nearly all of the other Wave 1 figures as well as a few for Wave 2 figures. 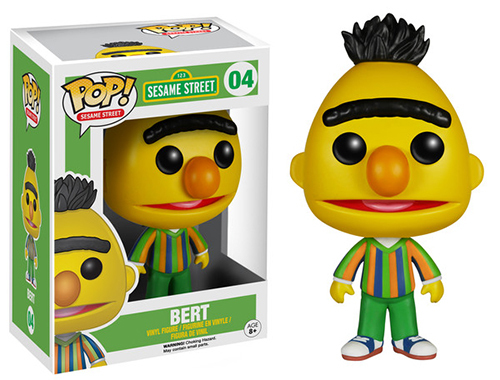 Each of the primary Funko Pop Sesame Street figures stands 3 3/4 inches tall. 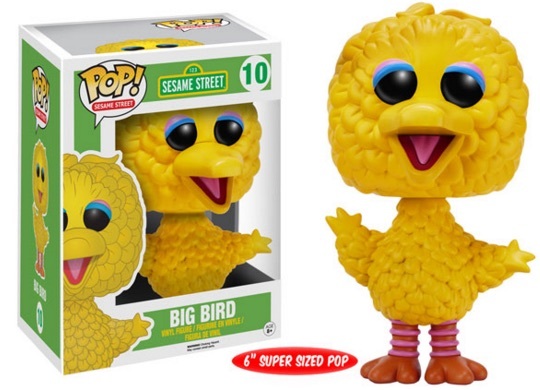 Larger figures include pals Mr. Snuffleupagus and Big Bird, who have Super-Sized Pop options that are six inches tall.